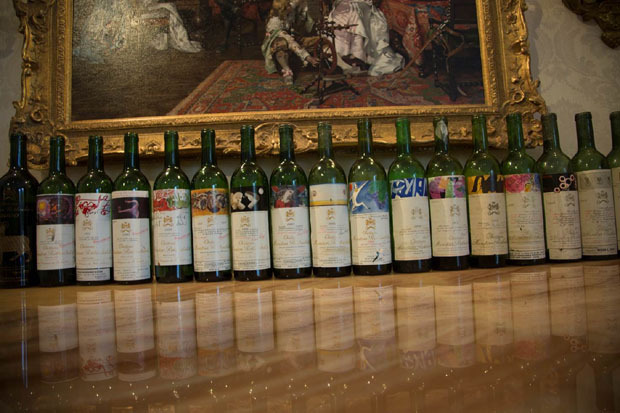 As a connoisseur of fine wine and food, Cindy Witherspoon carefully selected the wines for the January tasting of the Bacchus Society, a coterie of Columbia friends who take their name from the Roman god of wine. Since 1988, the society has focused on promoting the knowledge and appreciation of fine wines and food. The venerable group of oenophiles includes an array of Columbia professions - doctors, lawyers and business executives, together with a wine merchant and a classically-trained chef. Witherspoon and her husband, Bart, are long-time devoted members. “It is a chance to gather with like-minded individuals who are passionate about wine, food, and travel. The conversations are always stimulating, informative and leaving you wanting to read further. We have a fabulously diverse group and have found a lot of comfort with each other,” she said. Stravitz remembers, “The Bacchus Society got underway about five years after I moved to Columbia from New York City. It was an opportunity to meet other Columbians who shared my passion for fine wine. Over the years the Bacchus Society has provided me with many opportunities to taste and learn about a wider variety of wines than I could have tasted or learned about on my own. Stravitz brings impressive credentials to his wine-related activities. For years, he prepared the “Wine Vintage Chart” for the Zagat Restaurant Surveys of major cities throughout the world. He also has served as chair of the Wine Advisory Committee for the International Festival of Wines and Food in Columbia. Stravitz also has written about wine for various other publications. His favorite wines are the Grand Crus of Burgundy such as Chambertin, Musigny and Richebourg, made from Pinot Noir grape and Montrachet, Corton Charlemagne and Chablis made from the Chardonnay grape. Medway also has chaired the Wine Advisory Committee for the International Festival of Wines and Food in Columbia and has been a wine judge at the South Carolina State Fair. Jean-Pierre Chambas, a native of France and owner of Columbia-based distributor Aleph Wines, is another charter member who brings vast knowledge and perspective to Bacchus gatherings. Widely sought as an authority in the field, he has written for numerous publications and taught courses on wine at USC. Chambas developed an interest in wine culture as a youngster who loved to visit vineyards with a favorite uncle. ''Great winemakers are extraordinary souls. I have never met a winemaker whose wine I loved that we did not become close friends over the years. The soul of a winemaker is in every bottle you open.” When asked which wine he would drink if it were his last, he said it would have to be two: Chateau Haut-Brion Rouge from Pessac in Bordeaux and a Côte-Rôtie, La Mouline from Marcel Guigal. As Bacchus Society charter members age, they are looking to the next generation of members such as John Alphin, Dr. William Otis, Crawford Pressley and Matthew Richardson to continue the traditions they have established. Otis and Pressley appreciate the opportunity they have been given to add to their knowledge from mentors such as Stravitz, Medway, Chambas and the Witherspoons. “The Bacchus Society opened my eyes to a world of incredible wines and food that I never knew existed. It has allowed me to meet new and interesting people that I would never have known otherwise,” Otis said. “Through Bacchus, we taste what are revered as the finest wines in the world. At almost any given meeting we drink wines that would be the envy of oenophiles anywhere in the world,” Pressley said. Other current members are Joe Blanchard, Bobby Dobson, charter member and second president Dr. Carl Johnson, Dr. Fred McElveen, Dr. Jack Smith, Edward Stiefel, Donna Strom, Pete Strom, Bob Thompson, Don Tomlin and Dr. Norman Tuller, who also is a charter member. Charter member Hal Kohn was the founder and first president of the society. Among other original members were Dr. Baker and Melinda Allen, Ted Bax, Dr. Charles Bryan, Dr. Einar Anderson, Dr. James and Liz Marshall, Mac Ogburn and Liz Simmons. There are five deceased charter members: Herbert Benson, Ed “X” Harter, Jerry Rutherford, Pelham Simmons and Bjorn Thogersen. Membership in the Bacchus Society by invitation is limited to 20, since most bimonthly tastings are held in member homes. Its 27th annual dinner Feb. 22 at Oak Table Restaurant, included spouses and guests. Other wine groups in Columbia include the local chapter of the American Wine Society, the Midlands Wine Society and the Grand Cru Society.